Christianity started as a Jewish sect around the beginning of our common era. It was initiated by the higher educated Jew Paulus, who wanted to modernize Jewish religion. The Jews were part of the Roman empire, where mystery cults already had become very popular, especially among the higher educated elite. 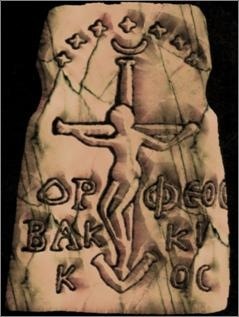 Several Greco-Roman mystery cults concentrated on a cult hero (Osiris, Adonis, Bacchus, Apollo et al.) who sacrificed himself for the saving of the believers and resurrected. These cults were ‘mystery cults’ because it were competitors of the official antique religions. Public rituals would have provoked actions of the Jupiter priesthood, so the initiates had to swear secrecy. The mystery cults of Greco-Roman antiquity include not just the Eleusinian, the Dionysian and the Orphic mysteries: every big town had one or more specific cult varieties. One could be initiated in more than one Mystery cult  and at the same time remain a formal believer in the state religion. A special mystery cult was the Mithraism, which was widespread in the Roman military legions. Paulus initially was an adherent of the ‘christians’, a Jewish sect in Jeruzalem and Antiochia, followers of an executed Messianistic prophet Jesus. But after disagreement with other leaders of the sect he went back to his home town Tarsus, where he may have hatched the idea of a Jewish mystery cult around a Jewish hero Jesus. After fifteen years he renewed the contact with the Christians of Antiochia and joined them again. He undertook four proselitizing journeys in the Roman world, preaching a mystery-cult-like Christianity. In the meantime the Jerusalem leaders created their own episcopal variant of Christianity. The origin of the religious office of bishop lay in the proselytistic character of Christianity. This Jerusalem version proselytized under the mass of the poor, not only with the gospel of a happy hereafter, but also with alms. The money for that came from rich supporters (mostly wealthy women) who were convinced by the idea of an imminent end of the world and a fitting disposal of one’s wealth. The apostles continued Jesus’ approach with increasing success. They needed special helpers to manage the gifts and to organize the feeding of the poor. The supervisor was the επίςκοπος, the bishop: a function of growing importance in every Christian community (church). 1. Ebionites. The simple descendants from the first community of Jeruzalem. Before the year 70 (the siege and destruction of the town) they had escaped to Transjordania. For these original Christians Jesus was no God but rather an excellent human who was adopted by God as his son on the occasion of his baptizing by John the Baptist in the river Jordan. 2. The Marcionites, followers of Marcion, who rejected the Jewish bible and accepted women as equal prophets. 3. 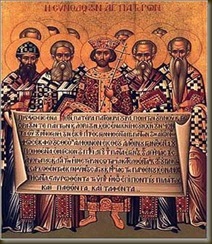 The Arians, followers of Arius, an Alexandrian priest who stated that Jesus, being son of God, was created by God and therefore, like the Holy Ghost, was of a lower status than the Father God. 4. The Paulinic and gnostic Christians, mostly living around Alexandria. Gnosticism would remain one of the strongest competitors of the episcopal church concept until well into the 4th century. 5. The episcopal church, that turned out to be the ultimate winner. In 180 the bishop of Lyon, Irenaeus, started an attack against the gnosticism. In his clever and influential book Adversus Haereses, he qualified the gnostic writers as heretics. Irenaeus also argued that the Roman church ought to be the principal seat of Christianity. After Irenaeus, church father Tertullianus continued the attack against gnosticicm, Marcionism and all other deviant views. 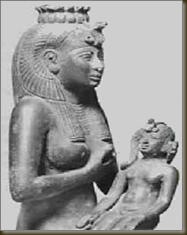 He also demonized women as a lower form of humans, considered to have been created from a ribbon of Adam, and to be deceptive ports of the devil. The main difference between the gnostic and the episcopal concepts had to do with the role of the individual believers. In gnosticism, individual faith was based on the personal, emotional contact with (and experience of) Divine Truth. In this respect, gnosticism was built on a principle similar to (in some respects borrowed from) the earlier pagan mystery cults. What mattered, were your personal feelings: your individual relation with Jesus. In the episcopal variant, individual faith was in the first place some kind of conviction that you shared with all other members of the community: something that had to be agreed upon. In the long run, agreeing about the actual content of belief became a matter of decision left to the bishops: believers just had to accept such decisions – or else they would be kicked out of the community. Gnosticism, while attractive for those just-converted believers who wanted to maintain some personal, half-pagan elements in a new Christian context, thus formed a threat to the more formally organized episcopal ecclesia, and in particular to the authority claimed by its bishops. 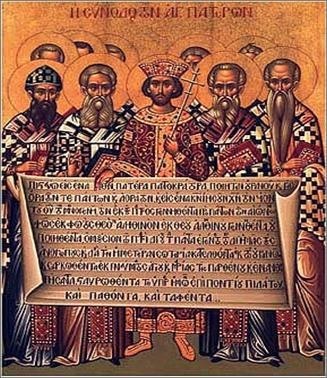 The church fathers demonized individual ‘gnosticism’, and praised commonly shared, doctrinal ‘belief’ as the supreme virtue. 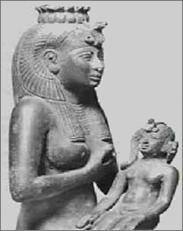 The struggle between the different variants of Christianity came to a height in the 3th and 4th centuries. It was eventually won by the episcopal variant, partly because this one was the best organized, and partly as a result of political developments. In 250, when the Roman emperor Decius started a persecution of the Christians, more and more young Christians were actually seeking a public form of martyrdom. In prison they wrote letters, with eulogizing and gnostic content. Friends and admirers outside prison edited and popularized these letters, spreading often contradicting ideas end views. It became important to establish some kind of formal, common doctrine in order to safeguard ecclesiastical unity. The leaders of various Christian communities gathered in councils to agree upon an official doctrine. In these councils, decisions about the Christian doctrine were made by intensive discussions followed by voting. The majority decided what would become dogma, and what not. Actually this was a totally new phenomenon in the Greco-Roman religious world, perhaps in the entire human history. In the end, one might say that persecution of Christians led to a need for more organization, therefore strengthening the episcopal church concept. In 313 the emperor Constantine felt the need to establish one universal religion for his entire empire. At that time, Mithraism had become widely accepted, especially in the legions. But the Mithras cult was a personal affair, not a collective doctrine. Mithraism had no organization, no councils. So Constantine choose the episcopal form of Christianity, because of his unity and organization, which also offered him an effective instrument for morally disciplining the masses. However, a problem was that within Christianity, there still was an acute conflict between different groups regarding doctrinal points: especially about the divinity of Jesus, or rather about the scope and extent of His divinity. Therefore in 325 Constantine organized a big council to end such quarrels once and for all. From then on, Christianity was official state religion with a divine trinity established by vote. With the support of the mighty emperor, Christian zealots began to destroy statues, temples, book scrolls, cult objects and other hallmarks of non-christian beliefs. On the other hand, one should not forget that even within the strict episcopal concept of Christianity, many old pagan elements were retained (although remodeled) in order to ease a smooth and widely supported conversion to Christian beliefs. The Trinity of Father, Son, and Holy Ghost reflected in some ways the old pantheon (Zeus and his sons) while the Virgin Mary was given a prominent place in order to provide a new, Christian alternative for the goddesses in the old pantheon. *** Just like we saw in Judaism, most elements are ‘borrowed’ from other belief systems and the few own elements are deteriorations. Were the own Judaist elements hostility against women and other beliefs, and election-delusion, the own element of Christianity was the use of the episcopal organization as a Machiavellian instrument of political power. Neither are helpful for human happiness or welfare. Nevertheless, Christianity can be seen as a step forward. It was functional in civilizing warlike tribes, uniting them in bigger systems in the belief of One Only True God. And it propagated more humanistic elements compared to Judaism and Islam, especially on honor (“turn the enemy the other cheek”). Let we look to Islam now.